The court may end up distributing the decedent’s property as if no will ever existed. 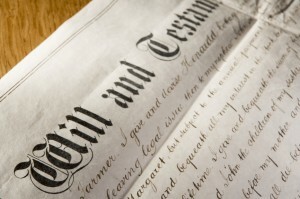 In this two-part blog, we will discuss some of the specific grounds for contesting a will. If you would like some professional advice regarding whether you should contest a will (or if you need assistance with any estate planning matter), contact the Denver will contest and estate planning lawyers at JR Phillips & Associates, PC today. Although the vast majority of wills pass through probate without problems, in some cases, there may be grounds for contesting a will and getting it invalidated. The decedent conscious and intentionally signed and dated the will. There was a witness to this authorization of the will. This witness was someone other than one of the beneficiaries of the will. A vulnerable decedent was somehow manipulated or coerced into creating the will in a certain manner (such as by leaving all assets to a specific party or intentionally leaving out particular beneficiaries). A decedent was induced through some fraud or misinformation into signing a will without realizing it. A decedent was lied to in order to get him or her to change the terms of a will. Be sure to look for the upcoming conclusion of this blog for our continued discussion regarding the grounds for contesting a will. Do you need help contesting a will? Or do you need assistance developing a will that will not leave any room for challenges after your passing? If so, you can turn to the will contest and estate planning lawyers at JR Phillips & Associates, PC. We provide a thoughtful, comprehensive approach to our clients’ various legal needs, and we can help them effectively contest wills that may be fraudulent or invalid. Our Denver will contest lawyers are skilled at using a variety of traditional and innovative approaches to develop solutions that are perfectly tailored to our clients’ needs and objectives.